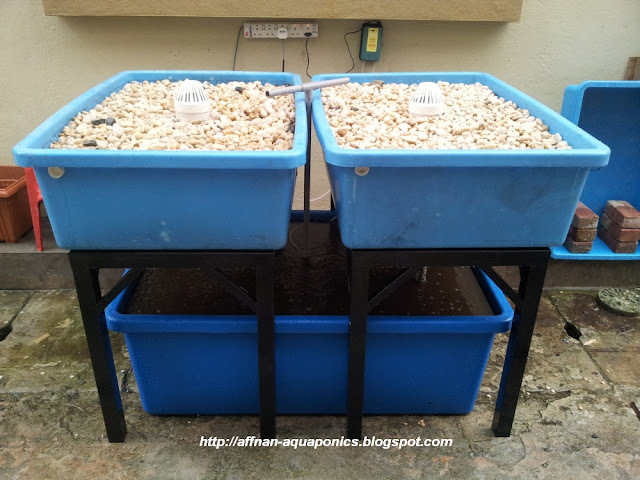 Affnan's Aquaponics: All Done ! Both growbed done, complete with aeration pump and almost 12 inches of media. Another day of back breaking work and now I will just need to cycle the growbed for a few days "dry". Only left are to tidy the electrical points, get a timer and few starter fish. This photo shows water at its highest point in the tank, with both growbed empty. The difference between lowest and highest is about three inches with these two growbed configuration. I already ordered another two rack since I'm confident that this fish tank will able to accommodate four thirty gallon growbed as I normally use above. I will try hydroton on the new beds and see how its goes. can i ask how much did you pay for the guppy tank ? can the tank really occupy 80 fishes ? wouldnt it be too crowded? You can get it from most aquarium shop for RM 250.00 each. No problem with 80 fish, just give it more oxygen and have 2 growbed to do the bio filter. The more fish you put it, the more you need to ensure system are running well then there will be no problem with that many fish. On delivering it to KK would be uneconomical, alternatively you could source the tanks and growbed there. The freight charges will double the kit price just not worth it. The stand you could use angle iron cut to make a rack. Use the more expensive ones. Siphon alone can be shipped to KK without problem. BTW I'll be in KK early March. 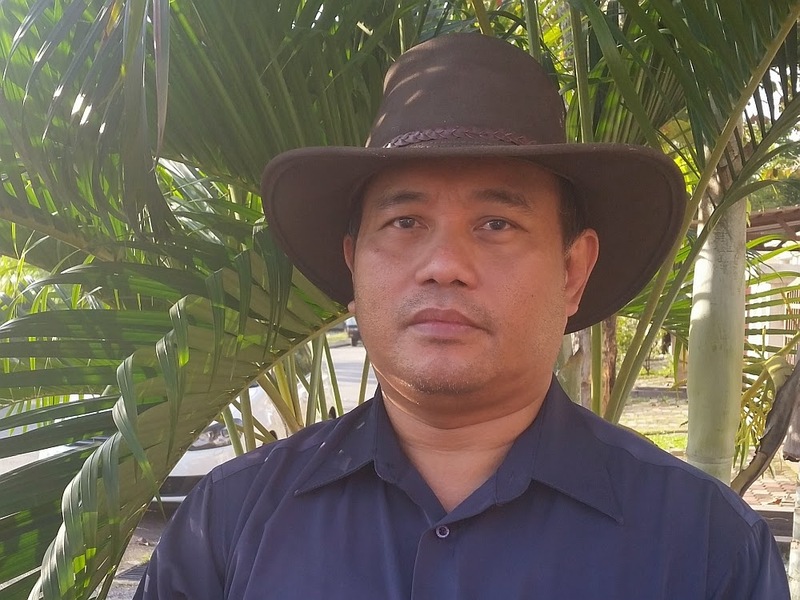 I send you email for some details and I'll be in KK for some professional class and visiting my son who's teaching in Keningau not Aquaponics. Great, as usual. As I mentioned to you before, I managed to upload a video showing my super little system which I will extended later on with NFT. I will stick on small scale though. Just wishing to have some quality produce as a proof of concept, inshaaAllah. Can we have the link ? Please, read the description of the video, as I am having more details about the system, it is around 2 minutes cycle for the siphon, roughly. As you see, it is an indoor system, the reason is that the only place that I can grow thing outside is fully shaded throughout the whole day, so, it is not suitable for growing specific crops like tomatoes and bell peppers. The video is weird, it goes backword, from the recent stage all the way to the earlier times when I was in the preparation for this, and excuse the mess, I will tidy up everything soon, inshaaAllah.